Whether you build your dream home or buy an existing one, a portion of your investment goes into the lawn and landscaping. 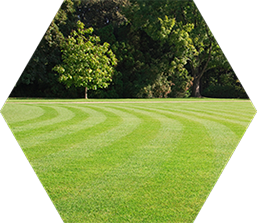 Lawn service is crucial to holding the value of your landscaping and lawn investment. Lawn Service programs may include trimming the hedges or shrubs, fertilization, weed control, and regular lawn service. These aspects are an important part to keeping your home looking great all year long. Weekly visits starting at only $19. Request your complimentary estimate today! Whether you are trying to make a lasting impression to a customer, welcoming a guest to your property, or want to provide an environment your employees are proud of; professionally maintained grounds are key to your organizations image. Humble will treat your grounds like they are our own and make sure they represent your company well. Our commercial and HOA maintenance programs are tailored specifically for your property and goals. Our team of experts use a customized planning process to understand your business goals and will provide a detailed schedule so we make sure we are treating, planting, and maintaining your property to give it a beautiful appearance all year long. Let us work for you and schedule a completely free consultation with one of our commercial landscape experts and let us show you how we can help you build your organization. Request a free property evaluation today! !